The demographic composition of the workforce is changing, with an increase in the participation of minorities. Numerous studies center their attention on the inclusion of minorities, but variation in turnover of a culturally diverse workforce has not received much attention. Forecasts indicate that by 2020 Hispanic presence will increase 60% nationwide. Given these trends, it is critical that management scholars examine the impact of Hispanic cultural factors on important organizational outcomes such as voluntary turnover. This paper assesses whether there are significant differences between Hispanics and Caucasians with respect to job embeddedness and voluntary turnover. The findings suggest that job embeddedness is a robust predictor of employee retention across diverse populations. Portions of this research were submitted by Carlos M. Mallol in partial fulfillment of requirements for his doctoral degree. 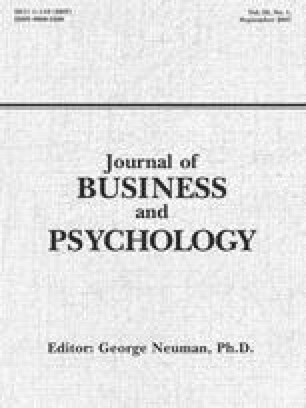 A preliminary version of this article was presented at the 2003 Academy of International Business Conference. Fit: Community. I really love the place where I live. The weather where I live is suitable for me. This community is a good match for me. I think of the community where I live as home. The area where I live offers the leisure activities that I like. Fit: Organization. I like the members of my work group. My coworkers are similar to me. My job utilizes my skills and talents well. I feel like I am a good match for this company. I fit with the company’s culture. I like the authority and responsibility I have at this company. My values are compatible with the organization’s values. Links: Community. (Items 1–3 for links-community and links-organization were standardized before being analyzed or being included in any composites.) Are you currently married? If you are married, does your spouse work outside the home? Do you own the home you live in? Links: Organization. How long have you been in your present position? How long have you worked for this company? How long have you worked in the banking industry? How many coworkers do you interact with regularly? How many coworkers are highly dependent on you? How many work teams are you on? How many work committees are you on? Sacrifice: Community. Leaving this community would be very hard. People respect me a lot in my community. My neighborhood is safe. Sacrifice: Organization. I have a lot of freedom on this job to decide how to pursue my goals. The perks on this job are outstanding. I feel that people at work respect me a great deal. I would sacrifice a lot if I left this job. My promotional opportunities are excellent here. I am well compensated for my level of performance. The benefits are good on this job. The health-care benefits provided by this organization are excellent. The retirement benefits provided by this organization are excellent. The prospects for continuing employment with this company are excellent.